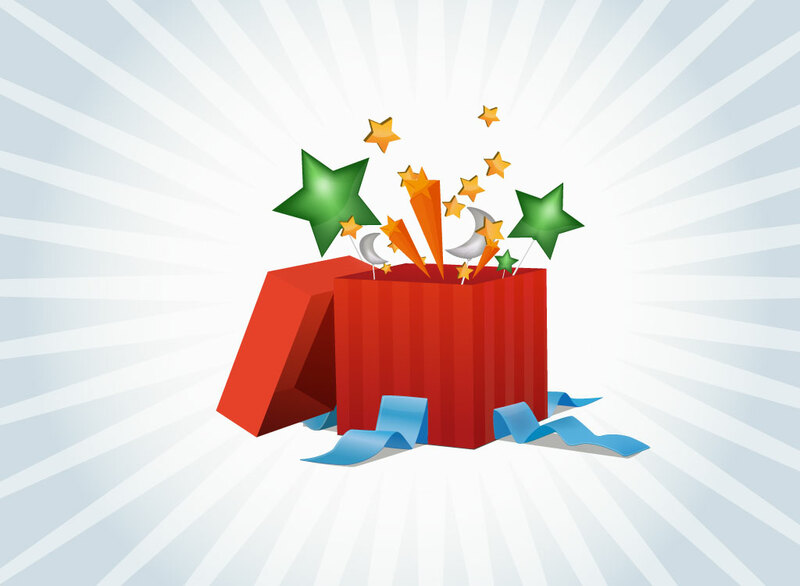 Red gift box with vertical stripes and blue ribbons and stars shooting out the open top of the vector graphic. Download this beautiful decorative design for happy birthday surprise parties, Christmas greeting cards and congratulatory celebrations. Free stock art perfect for all your gift giving occasions, fun, decorative design elements, entertainment, happiness, holiday, New Year, Xmas, Valentine’s Day, seasonal promotions, festive decorations and sales posters. Tags: Anniversary, Birthday, Celebration, Giving, Happy, Joy, New Year, Surprise.